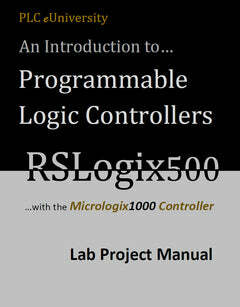 To adequately learn this subject, you need hands on experience...That is, writing programs (RSLogix), configuring a communications driver (RSLinx), using the correct cable, downloading the program to a controller (PLC w/ I/O) and having the system execute as you expected (envisioned when you wrote the ladder logic). 1. You need access to a suitable computer to run the software on...Windows 7 or 10 recommended. 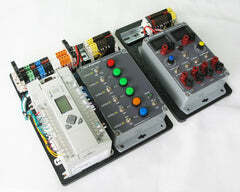 Micrologix1000/1100 controllers, Micro Starter Lite software can be found free for these two controllers. 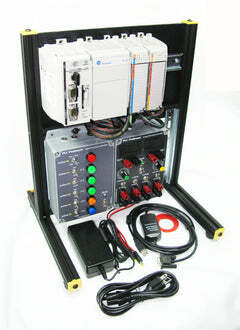 Micrologix1000/1100/1200/1400/1500; Micro Starter ($150 - $200) will program all of the Micrologix processors. 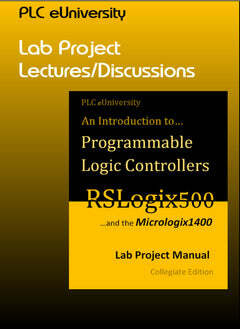 SLC500 processors, RSLogix500 (very expensive) will program all of the SLC500 processors and all of the Micrologix processors. 3. 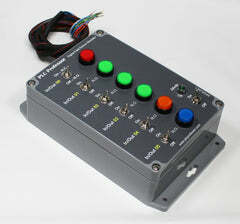 Once you have settled on a specific controller (processor and I/O), you need a digital field device simulator (lights and switches) to connect to the inputs and outputs of the system. 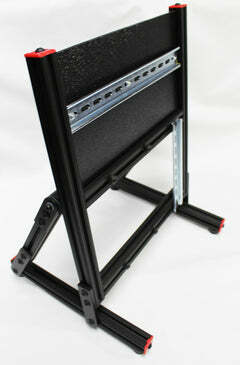 Design and build your own or you can purchase one of ours. 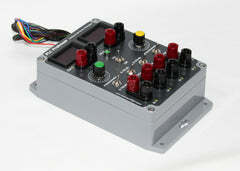 Digital Field Device Simulator. You also need power to both the controller and the DFDS. 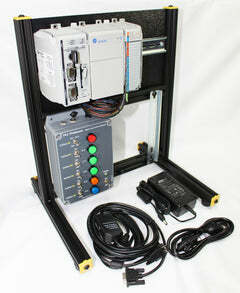 If you purchase the recommended DFDS, it comes with a 24vdc power adapter that can be extended to a 1766-L32BXB. 4. 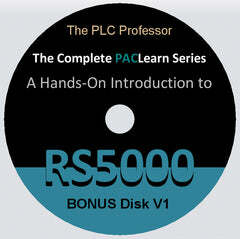 Purchase the software from your local AB (Rockwell Automation) distributor. A USB to RS323 PM02 type cable...all Micrologix have a PM02 type connector. ...AND if you have either the Micrologix1100 or 1400, they support Ethernet communications and those cables can be found easily, even some large grocery stores have them in home supply. 6. 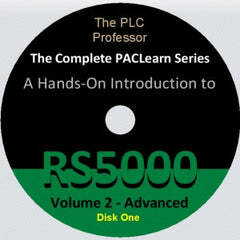 And you need lectures to watch, under the Classrooms tab "Programmable Logic Controllers" on the main menu. 7. 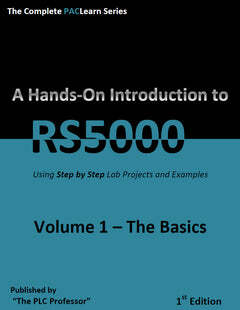 After you have watched enough lectures to inspire you into action...You need a lab project manual, either for the Micrologix1400 or the Micrologix1000/1100. 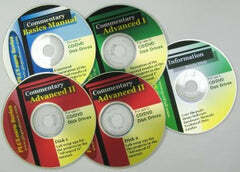 The manual for the Micrologix1000/1100 is accompanied with a disk that includes helpful information and copies of the software that programs just the 1000/1100 processors. 8. 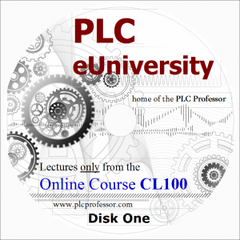 As you complete the lab projects in either of the two above lab manuals, you can watch the lab wrap-up lectures also under the Classrooms tab ".............Lab Discussions". 9. 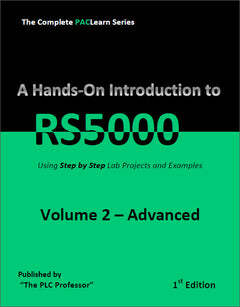 Once you have developed conficent skills with the above hardware, you can progress to the RSLogix5000 arena where everything is expensive, software and hardware, but learn with the above...much more effective and less expensive.